The purpose of this activity is to help students understand Mendelian genetics and how the environment can influence the phenotypes of organisms. This activity also helps students learn how to engage in practices such as using mathematics and computational thinking, using planning and carrying out investigations, arguing from evidence, and communicating information. 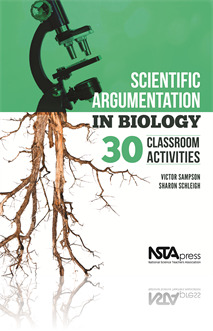 This activity, in addition, is designed to give students an opportunity to learn how to write in science and develop their speaking and listening skills. This article does an excellent job of explaining Mendelian genetics and how the environment can influence the phenotypes of organisms. This activity uses tobacco plants to explain how traits are passed down from generation to generation or the law of segregation. According to this law, individuals carry two alleles for each trait but only pass down one of these alleles to their offspring. In simpler terms, you can inherit traits that are in your parents' DNA but that aren't expressed. For example, your brown-eyed dad may pass along the gene from his blue-eyed great grandfather. Match that to your mom's blue-eyed gene, and you've got baby blues, even with a brown-eyed dad. The law of segregation is extremely useful, because it allows scientists to predict the phenotype and genotype of offspring. This activity is very helpful in assisting and furthering students’ comprehension of genetics in a much deeper way beyond the basics of alleles. Mendelian genetics is the basis for a great deal of modern research on inheritance and is important in understanding why an organism has a certain color or length. In my classroom, students are curious about why they look the way they do. Adults frequently comment to them that they have their "mother's eyes" or their "father's chin." Mendel determined that traits aren't blended but are instead passed on, intact, from parent to child. He found that everyone got two genes for each trait — one from the mom and one from the dad. Believe it or not, at the time it was a big deal to figure this out. This activity also helps students learn how to engage in practices such as using mathematics and computational thinking, using planning and carrying out investigations, arguing from evidence, and communicating information. This activity, in addition, is designed to give students an opportunity to learn how to write in science and develop their speaking and listening skills, which are important goals for literacy in science. However, the activity should be used as a way to introduce students to the environmental influences on traits but only after students have a solid grasp of basic Mendelian genetics. At the very minimum, students should understand the concept of genes, the law of segregation and several different modes of inheritance such as co-dominance, incomplete dominance, and simple dominant-recessive. Students should also understand how to use Punnett squares to predict the phenotypic ratios of offspring from a cross. Students will need a basic understanding of these ideas in order to be able to analyze and interpret the data that will collect during the activity.